I had the extreme good fortune to hear Duke Ellington and his fabulous Orchestra once, live at Newport in 1965, but although I was a young jazz fiend and all the authorities were unanimous on Ellington’s overwhelming greatness, I was so pig-ignorant that to me he was some old dignitary who had nothing to do with me while I trailed after Trane and Sonny and Mingus and Ornette, etc. And then the band came onstage across the seatfilled pasture and played some opener, and then began to preview a few pieces from the forthcoming Far East Suite, and somewhere in the middle of The Bluebird of Delhi I began to tingle all over and experience the distinct sensation that I was levitating. I had no name for the delight that took me over, nor any explanation of how Ellington’s astounding alchemy of instrumental combination conveyed its magic through the coarseness of the open-air sound system, but there I was, hovering a few feet above the ground with my body all lit up, so to speak. Some of this gets across on recordings, and this week’s Updoc—8PM Friday and noon next Tuesday—does what it can to reconvey as much of it as will fit. La Plus Belle Africaine—Sam Woodyard at the drums!—Ellington Jazz Party with Dizzy and Jimmy Rushing, that kind of thing, plus Mingus at his most Dukish, and more Dizzy, and Bartok, and Basie, and Kenny Barron & Dave Holland, closing with the recently departed master of the kanun, Julien Jelaluddin Weiss. The kanun is a trapezoidal zither, which with a slip of the tongue I announce as a trapezoidal zikr—possibly Freudian but definitely appropriate, since zikr (or dhikr) refers to the invocation and rememoration of the Divinity. The same could be said of the whole dang show, as far as I’m concerned. And Sam Woodyard! 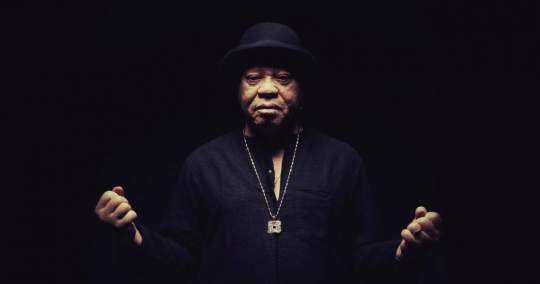 On the next edition of RootsWorld Radio, we’ll feature some of the final recordings by Malian vocal giant Salif Keita. We’ll hear a Czech dream song, some deep jazz through the lens of folk traditions from Gambia and Trinidad. There will be semi-classical tango. And we’ll feature Hatitian-American, New York bred and New Orleans resident Leyla McCalla. Other artists on the show include Ponk, Dawda Jobarteh, Etienne Charles, Pablo Aslan, and Bassekou Kouyate. Wednesdays at 5PM eastern time. On the 195th edition of RootsWorld, we’ll visit the dark fairy tales of Zulya and the Children of the Underground, the rhythm and reeds of NY’s Hazmat Modine, Welsh innovators 9Bach and the Afro-Haitian Experimental Orchestra. We’ll listen to a couple of classic sounds from the 80s, with Hank Jones, Cheik-Tidane Seck and the Mandinkas and some South African horns featuring a 1989 recording by Barney Rachabane. We’ll also hear some new music from Congolese guitarist and song writer Siama Matunzungidi (now based in the Minneapolis-St Paul and a fusion of East and further East with Iraqi oud player Rahim AlHaj and Indian sarod player Amjad Ali Khan. The 159th edition of RootsWorld radio includes music from Nation Beat w/ Cha Wa and Silverio Pessoa (US/Brazil), Amara Touré (Guinea), Horoya Band National (Guinea), Les Ambassadeurs official (Mali), Totó la Momposina y Sus Tambores (Colombia, Davide Salvado (Galicia, Spain), Ilkka Heinonen Trio (Finland), and Hillfolk Noir (US). RootsWorld Radio #156 will feature the music of The Henrys from their new CD Quiet Industry. The Henrys are a Toronto based ensemble led by guitarist and composer Don Rooke. The band’s latest recording follows their path of creating personal acoustic music that is neither folk, pop or jazz, and yet somehow is all of these. This is a band who has no genre to fit into, and in fact, has probably created their own. Quiet Industry also includes more songs than usual, most featuring their newest vocalist, Gregory Hoskins. We’ll also listen to music from Sudan Dudan (Norway), Oumou Sangare (Mali), El Juntacadáveres (Argentina/Belgium), Buff’Grol (France), Esko Järvelä Epic Male Band (Finland), and Bassekou Kouyate & Ngoni Ba (Mali). On the next RootsWorld Radio (#154), we’ll feature some unique music from the Aegean and Mediterranean with the very modern sound of Xáos, the Balkan and jazz tinged music of a collaboration of Melina Kana, Thanasis Papakonstantinou & Ashkhabad, and Cypriot trio Monsieur Doumani (our ‘Music of the Month’ selection for June). Other artists will include Rönsy (Finland), American-in-Croatia John Kruth, the trio of Anders Jormin, Lena Willemark & Karin Nakagawa, folk-pop band Jansberg (Denmark), folk fiddle from Eden MacAdam-Somer (US) and Balkan jazz from The Elina Duni Quartet (Albania and beyond). The 127th edition of RootsWorld Radio will feature more music and less chatter. We’ll start with some old Afro-jazz from Sweden, match that with a little folk-art music from same, and find our way through the guitars of Mali, the voices of the Sahara, Finland, Spain and Burkina Faso, hear some folk-electronica from Russia, acoustic roots music from England, global sounds from Copenhagen and a bit of JP Sousa on the concertina to wrap it all up. Artists will include Aziza Brahim, Djessou Mory Kanté, Himmerland, Spjärnsvallet, Volga, Spiro, Goodland Trio, Anna Kaisa Leides, Lea Nicholson, Amadou Ballake, The Joe Townsend Band and Carmen Paris. 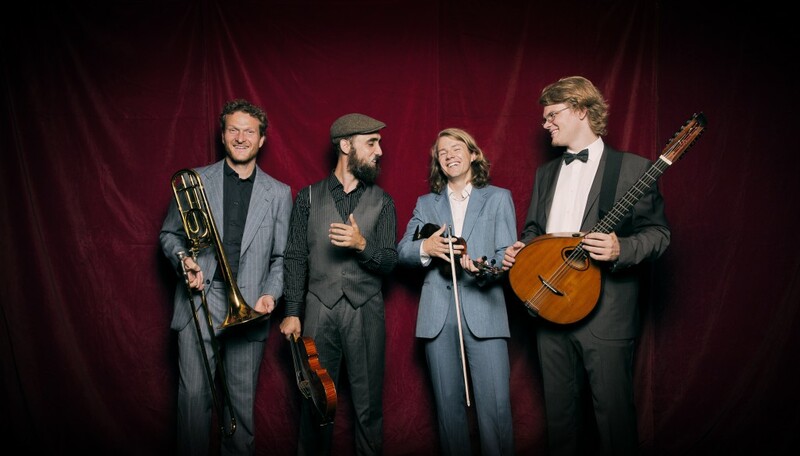 This week, we feature the music of the Denmark-based band Basco, in an excerpt from a concert with the Danish Radio Big Band, and later in the show, a full set they performed at the Tønder Festival in August, 2014. In between, we’ll listen to music new and old from Suden Duden (Norway), Spiro (UK), Marta Sebestyén (Hungary), Rudl Trio (Norway), and Dálava (US). On the 123rd edition of RootsWorld Radio, we’ll feature two recordings that could easily make my personal Top 10 list for 2014. Guinean guitarist Djessou Mory Kanté‘s River Strings: Maninka Guitar is a solid collection of instrumentals, some traditional, most written by Kanté himself. It’s beautifully recorded with a no nonsense approach to arrangements and instrumentation, and offers the listener a guitar sound that abounds in elegant complexity and deep traditional rhythms. Across the Atlantic, we’ll hear 2 tracks from Garifuna singer and band leader Aurelio. Michael Stone says in his recent RW review of Lándini that the recording is “Aurelio’s strongest outing yet.” I agree. We’ll also visit Mali, Italy, Bulgaria, Trinidad, Finland and Spain and hear from artists including Bulgara, Hiite, Amadou & Mariam, Lord Kitchener, Luisa Cottifogli, Re Niliu, Piia Kleemola, and Lidia Pujol, Psàlite & Miguel Gil. On the 1 21st edition of RootsWorld, we’ll be serving up a few potatoes and some mini songs on the side, along with some blues, rock, folk and jazz from around the world to bring in October. Artists will include Violons Barbares, Andreas Ase, 3 Metre Day, Lo’Jo, The Step One Just Plain Folk Singers, Leadbelly, Brave Combo, Frigg, Oliver Schroer and the Stewed Tomatoes, Kepa Junkera, Tim Eriksen, Shel Silverstein, Guy Klucevsek, Nordan, Cheb Zergui, Moussu T e lei Jovents and The Incredible String Band.